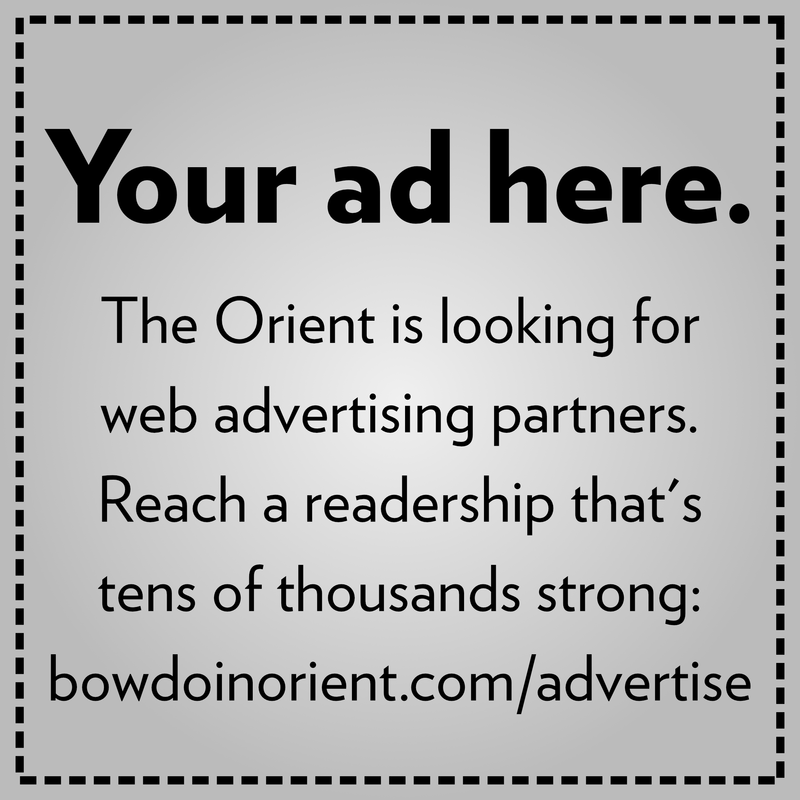 We are writing out of a desire to contextualize the recent Orient article profiling the Peucinian Society. We cannot speak for all Peucinians and their experience in the society, nor are we trying to do so, but we would like to share our perspective as three dedicated and long-time members. The Orient article described many of the reasons we love Peucinian, including camaraderie and intellectual passion. However, while the article painted Peucinian as an idyllic society that has solved the problems of its past as a fraternal organization, Peucinian struggles to reconcile this past and the needs of its increasingly diverse membership. We believe that Peucinian can only begin to address its problems by openly acknowledging them and discussing its efforts to make the society a more welcoming space. The Peucinian Society was founded in 1805, well before Bowdoin became co-ed. It faded in popularity with the rise of fraternities, and was re-founded only after they were abolished. This past places the club in a difficult position: is it a substitute for fraternities, a space for intellectual masculinity and debate or is it a space of exploration and free thought that can accommodate people with varied political beliefs from diverse backgrounds? This conflict over what Peucinian should be became unavoidable this year in the wake of a proposed “boy’s night.” This gathering had previously been deemed unacceptable because it suggested that women within the society stand in the way of fraternal bonding and camaraderie, implying that the true purpose of Peucinian remained to function as a boys club. The event was not held, but it sparked a series of conversations in Peucinian as to how we can hold ourselves accountable towards becoming an inclusive space. To this effect, the society elected to have a facilitated discussion around gender and inclusivity led by Lisa Peterson, associate director of gender violence prevention and education. Dialogues like these have happened in numerous clubs on campus. That conversation made it clear that there are many people, contrary to the Orient article, who do not always feel that Peucinian is a space for them. We were surprised that the Orient article did not mention these conversations, and that many within Peucinian did not want these problems to be discussed or publicly acknowledged. Focusing on improving the image rather than the reality of the club delegitimizes the experiences of its members and the ongoing effort to address systemic problems within the group. The space cannot become more welcoming to everyone without first acknowledging that it is not as inclusive as it hopes to be. This attitude is representative of how we approach the voices of women, people of color and queer people both within Peucinian and within society as a whole. Although the club is technically an open space, this does not mean that all people are equally valued and respected when they speak. There is a higher standard of evidence for personal experiences, which are often not deemed relevant to the discussion. The experiences and knowledge of many are viewed as novelties or exceptions to the question at hand and its relevance to the “universal” human being—the straight, white, American man. While there are few instances of overt bias, these examples serve to show an undercurrent of devaluation at an unconscious level. Additionally, Peucinian struggles to reconcile its values of respect and lasting friendship with that of free inquiry. First, because ideas of intellectual freedom and debate are often rooted in gendered hierarchies. Favoring fiery but highly rational debate akin to a litigation draws on a male coded discourse—a kind of intellectual masculinity that values ferocity over curiosity. In elevating this style of communication above others, the society can make those who do not fit the mold feel unwelcome and their ideas devalued. Unfortunately, there is limited recognition that free inquiry can be a burden on those with marginalized identities, particularly when the value of those people and their identities is in question. When twisted or taken to the extreme, free inquiry can lead people to adopt uninformed positions on issues they do not understand, often in ways that are traumatic for others. Although unintentional, this type of discourse sends the clear message that those with marginalized identities are not fully respected. These problems are not unique to Peucinian—they pervade both our campus and American society. Because of that, this call for openness is not a call-out of individuals. It is about holding both Peucinian and our campus culture accountable. We all have cultural power over the spaces we inhabit and can address the way larger societal problems take shape within our groups. Peucinian wants to hold itself to a high standard. It should work openly to do so. Genuine effort towards social equality requires acknowledging past and ongoing shortcomings. Peucinian should be proud that it is beginning to take these steps. Olivia Erickson and Sarah Guilbault are members of the Class of 2018, and Theo Christian is a member of the Class of 2019.